The first thing you want to do is to be prepared. 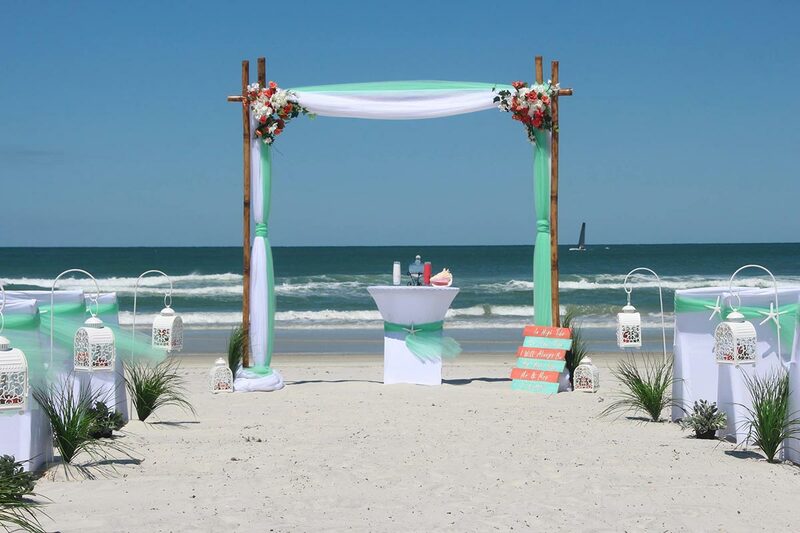 If you plan a beautiful beach wedding outside, cover your wedding arch, guest seating and reception area with tented canopies. Even if it doesn’t rain, the canopies can help to keep the sun out of your eyes and the wind off your back (and that of your guests as well!). Another good idea is to make sure you have a backup plan. If you plan to have your wedding ceremony on the beach and then hold the reception at a beautiful ocean side restaurant venue, see if your restaurant of choice has available space in case you need to move your ceremony indoors due to weather. 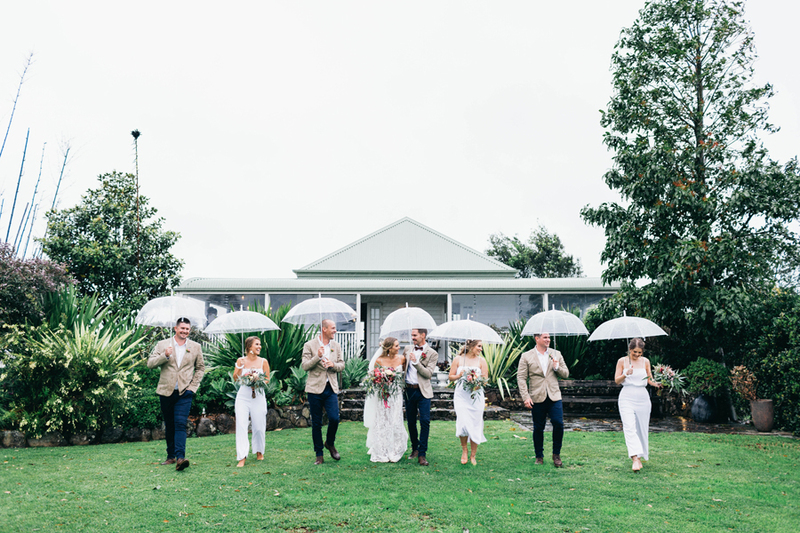 If not, you can always check around to see if there are other indoor facilities that can accommodate you and your guests during your ceremony should inclement weather require it.